Sometimes, Mazda, you make me sad. I know you say you love all your markets the same, but then why is the UK walking around with all these shiny, special-edition Miatas? Hmph: Here’s Mazda’s Certified Pre-Owned Benefits. Whatever. 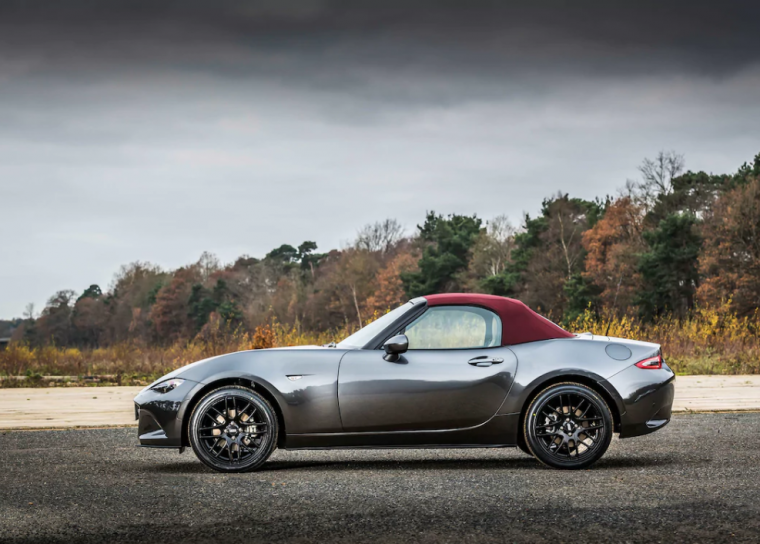 I mean, last year it was the MX-5 Miata Arctic Edition, which had that slick and cool icy blue paint, and silver accents replacing a bunch of the gloss black ones for this “just drove out of a James Bond movie set in the Arctic Circle” kind of look. Care for a ride, Moneypenny? 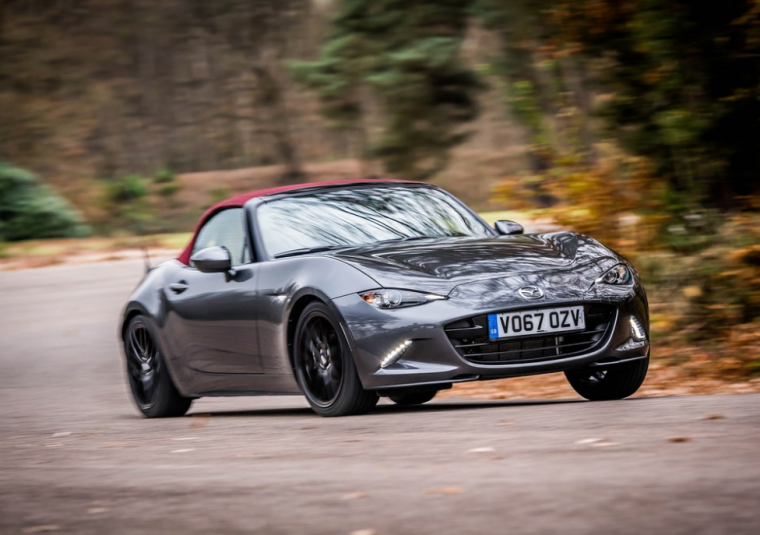 And now, a year after that, you’re announcing another special Miata, only for the UK? I’m starting to feel a little hurt, Mazda. I mean, just look at this thing: the MX-5 Z-Sport. This model gets a cherry red soft top (like the one that the brand showed off on a model at the Tokyo Auto Show beside its new concepts), 17-inch black BBS wheels, Machine Gray Metallic paint, seats trimmed in “Sand Leather,” and little “Z-Sport” plaques, complete with which out of the 300 copies of the car that particular one is. This, I’m told, is the very first fourth-generation Miata to offer an alternative soft-top color. And of course, it looks pretty amazing. Hmph: Here’s how the CX-9 is better than the Acura MDX. Whatever. 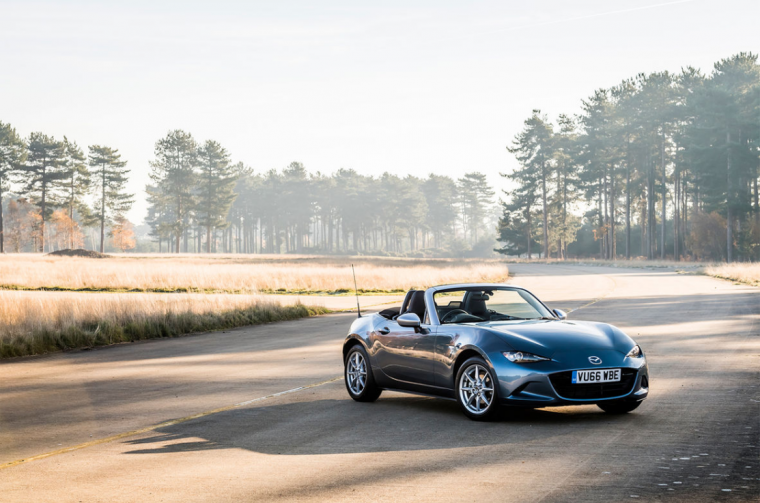 Just like the last special edition Miata that Mazda gave to the UK and didn’t also offer to us, the Z-Sport will go on sale in March, with a price tag of £25,595 (that’s about $34,278 for us on the other side of the pond). Hmph. Whatever. Like I care.